I realize that I've probably had way too much info up about Lock and Load lately, but I wanted to take a second to post about a feature on warcraft logs that's going to be really helpful in evaluating survival play in Warlords of Draenor. The picture above is a screen shot of it; to get to it, go to one of your parses on Warcraft Logs, and single yourself out, then go to the buffs section. There should be a Lock and Load line, which will show you the total number of Lock and Load buffs you received during the fight. If you click on it, then select "stacked" you'll get a graph similar to what I have pictured here. What it's telling you is when you received stacks of LnL, and when you used each stack. So you can tell in this parse I never really saved any of them, but had I, you could zoom in and see how long you saved them for. You can also, at a quick glance, see if you ever lost any stacks from saving too many (over 5). We can also select multiple graphs (as shown above) to see how we used LnL procs when trinket procs were up, or when other events happened. This creates a little graph I like to call "stacks on stacks on stacks". Which, when you think about it, is really what huntering is all about... ? There have been some interesting conversations going on around the Lock and Load mechanics in the WoD Beta, and since I don't have my new WoD Beta: Beast Mastery article ready, I thought I'd go ahead and talk about some of the theory crafting going on regarding Survival Huntering. Each tic of black arrow has two chances to multistrike (with each, the percent chance to succeed is equal to your multistrike percentage). Every time a tic of Black Arrow multistrikes, you get one stack of Lock and Load, up to a total of five stacks. When you have one or more stacks of Lock and Load, the next time your Explosive Shot is off cool-down, casting explosive shot will consume a stack of Lock and Load, which will cost the same and produce the same effects, but will not put Explosive Shot on cooldown, so you can cast up to n+1 Explosive Shots in a row, where n is the number of Lock and Load stacks you have. When I first heard about this I was really excited, because it meant there was the possibility of saving stacks of LnL to use with trinket procs, and any time you have a decision like that, you have a way for skilled hunters to differentiate themselves from the crowds. However, there's a function of this that isn't exactly clear in any tooltips. Without LnL procs, you can compare how many Explosive Shots possible you could have done by looking at the duration of the fight in seconds divided by six. Every six seconds your ES comes off CD, if you use it immediately, then your total ES should equal fight length/6. The problem is, the Explosive Shot formula would have to have a very high AP modifier to make the trinket proc affect it enough that it was worth casting less total. It could be that blizzard decides to go that way, but judging by the history of hunter builds, it doesn't seem likely. TL;DR Looks like come Warlords, we'll still be spamming those Explosive Shots as soon as you can. I spent a good while working on my Marksmanship rotation last night, and so today I wanted to continue my review of the current new incarnations of the hunter specs. I started out playing attempting to level with MM for a while, just to get adjusted to the new feel without all the perks and the new talents, and I have to say it was very clunky. At such low levels of haste, not having Arcane Shot is really clunky, especially once you pick up a few mobs. Leveling from 1 - 70ish I love Marksmanship, but as soon as Aimed Shot stops one shotting every mob, I generally switch to BM or SV. This will be even more the case while leveling from 90 - 100, unless you get really good luck with the perks. Having 120 focus makes things much easier. Even with the really long cast times at the early stat levels of the xpac, staying under the focus cap takes almost no concentration, and with the lowered cost of Chimeara Shot and Aimed Shot, you have a really wide margin to make sure you can still cast a Chim Shot. Throughout the last couple seasons in WoW, I've really liked running Marksmanship with Fervor. That on-demand focus, to me, felt like it worked really well with MM's high focus costs. However, with the new lowered costs, and the extra focus, and the fact that we don't have those instant Arcane Shots, it just didn't seem like that great of a talent anymore. As with all of these things, we don't really have enough info to do the math and say this for sure, but to me, it just didn't feel as good as it used to. Thrill of the Hunt, on the other hand, when applied to Aimed Shot was amazing. Even after taking into account that you have to make a little adding adjustment in your head to plan focus (whether or not TotH is proc'ed), it just plays really smoothly, and goes into a great synergy with Rapid Fire, which I'll explain below. Careful Aim being applied to Rapid Fire is one of the big new features of MM huntering, and it is just plain awesome. If you take Thrill of the Hunt for cheaper Aimed Shots, and add in that you get 20 focus back from aimed shots that crit (which pretty much all should while Careful Aim is up), and you're prepared to do some crazy burst damage. What I found worked best, is just like BM hunters will pool focus for BW, MM hunters will now want to pool focus for Rapid Fire. It's unclear yet whether we're going to want to save Rapid Fire to stack with a trinket proc, or if instead we'll want to use it on CD to get as many as possible out of the fight, but one thing that's clear right now, is you want to wait until you have full procs of Thrill of the Hunt (this should only take one or two shots, anyway, and if you get a proc close to when RF is off CD, it'd probably be worth saving them, since you'll want to start pooling focus at that point anyway). I like to start out with a Chim Shot right before, just to make sure I can keep that on CD as long as possible, then hit Rapid Fire and pump out Aimed Shots, all the way until the next Chim Shot is ready. If you have even the slightest luck with TotH procs, you'll still have plenty of focus to get off your Chim Shot and keep pumping out Aimed Shots for the entire duration of Rapid Fire. For some perspective, in 660 gear, my Aimed Shot had a 2.33 sec cast time normally. With Rapid Fire up, that's 1.66 sec. That means the 8 global cooldowns between Chim Shots can be filled with 6 Aimed Shots, assuming they all crit. That is an insane amount of damage! Against the raid lvl 103 raid training dummies, completely unbuffed, my Aimed Shot crits average over 24k damage each (which doesn't sound like a lot, but after the squish, it's pretty good), if you can line that up with trinket procs or potions, we're talking about a 50-75% damage increase for those 15 seconds. I tried out each of the level 100 talents, and actually found most of them underwhelming with Marksmanship. Both Lone Wolf and Exotic Munitions you don't really even notice, as they have little effect on gameplay. With Lone Wolf, I didn't necessarily notice that my Aimed Shots and Chim Shots were hitting considerably harder. Though I'm sure they were, it just seemed like good RNG, and didn't give me that amazing feeling of seeing some ridiculously huge crit. Focusing Shot was the most interesting of the three, though I didn't really get into a rhythm using it like I did using it on SV. As MM, it did feel good as long as I coupled it with TotH. With Fervor, it felt a bit clunky, since Fervor simply doesn't give you as much focus as TotH, which meant casting a lot more Focusing Shots. Focusing Shot's big upside is that if you have bad RNG during Rapid Fire, and happen to miss a few crits, you'll only give up two seconds to regain 58-60 focus (at 660 ilvl haste, Focusing Shot takes 1.99 seconds during Rapid Fire), where as with steady shot you'd have to cast several to get the same focus back, wasting a significant amount of Careful Aim. Because of that, I think Focusing Shot might be the go to ability for the first couple of tiers, and lose some value after we get up to 100% crit during Careful Aim. Aside from being way to clunky while leveling, MM's major drawback is going to continue to be the lack of AoE damage. I happen to like the Bombardment mechanic; however, it just doesn't have the punch that BM's AoE has, or the ease of SV's AoE. I had been excited about the updated Piercing Shots, which would apply bleeds to crit MultiShots, even as a passive it's felt like it belonged with MM. Now that that's gone, we'll need to see a significant buff to Bombardment to make MM AoE competitive. Perhaps the currently most controversial mechanic for MM hunters is the new Mastery: Sniper Training. I'm a big fan of this mechanic, but unless MM is is balanced to only have this part of the time, it will be very difficult in today's raid design of all movement, all the time. Ideally, this should be a huge reward for MM hunters who can find a way to keep it up 100% of the time, but I'm definitely concerned that it will end up being that MM hunters are punished for not using this, but only do average dps when they do use it. Though I'm open to playing with the 6 second duration Sniper Training currently has, it's reward is no where near adequate compensation for the skill required. Increasing the duration to 9 seconds sounds considerably more reasonable to me; in this scenario, we'd have 6 seconds to move before needing to sit still for 3. Alternatively, keeping the duration at six seconds but lowering the still requirement to 2 seconds would achieve a similar effect. Having only 3 seconds to move at a time, as it is currently, makes MM nearly unplayable on most of the fights in SoO. As Solar pointed out on the Cloak and Quiver podcast, there is no way to get inside the desecrations against Garrosh, and having to wait three seconds after running to the engineer before doing full damage is just silly. Once I realized how much more smoothly TotH played, I started having lots of fun with MM. Yes, it's an overly simplistic rotation, but once I got my groove going, it felt pretty good. Between managing focus and managing Sniper Training, I felt like I had enough to worry about, so having the rotation be overly simple wasn't the worst thing in the world. I'm looking forward to see if they adjust the AoE or not, and, of course, to see how it ends up comparing to the other two specs as far as total damage out-put goes, but for now, I'm surprisingly happy with the feel of the spec. After spending a good bit of time playing with my SV rotation at the training dummies, and subsequently going over those logs, there are a few things that I thought could stand being mentioned. However, to start off I want to add a disclaimer that I'm sure I'll be adding to a lot of posts in the near future: this is the beta. 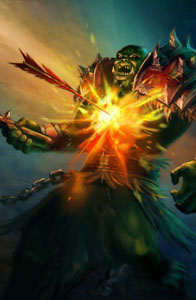 How much damage a shot will do is sure to change significantly as Blizzard goes through attempting to balance the classes, so it's a bit too early to make claims about what our shot priority will be, and certainly way too early to say which spec will have the most damage output. I don't feel like it's too early to comment on the feel of the rotations, though, and that's what I'll do here. One of the major changes to Survival Hunters was the loss of Serpent Sting, and having its mechanic baked into Arcane Shot and Multishot. The reasoning behind this, as I understand it, was that Serpent Sting was this sort of "set it and forget it" ability that wasn't interesting enough, so they just did away with it. However, with the loss of focus-free LnL Explosive Shots, and to some extent the loss of focus-free Kill Shots, at ilvl 660 I need to use a lot of Cobra Shots, which doesn't leave a ton of time for sneaking in Arcanes. Since Cobra Shot no longer refreshes Serpent Sting, I found myself letting it fall of several times. Especially close to when I need to use BA, or (if talented) aMoC. What it's going to look like, at least for the first (and probably second) tiers, we'll have to start saving up focus a lot sooner than we're used to, and perhaps most importantly, making sure to spread out our Arcane Shots between Cobra Shots. The LnL mechanic isn't too bad, even with early expansion stat levels. With 25.29% Multistrike, I averaged 1 LnL ES every 8.15 seconds. At 25% MS I should have a 43.75% chance to get at least one Multistrike for every tick of BA. It averages out to much less than that because one quarter of the time you can't have BA ticking (due to the CD and duration mismatch). It's a bit more difficult than before to manage while actually playing, since (just like above in the serpent sting section) it requires you to be more careful with your focus levels. Even with a really high MS, we won't get super long ES chains like we do in 5.4, because they still cost focus. Though I haven't been playing it long enough that I can really say the best way to deal with it, what I've been doing so far is to keep my focus above 45 at all times, unless I'm in the middle of an LnL chain. Then if a BA Multistrikes while ES is on CD, where we used to start spamming ES, now I spam CS. So long as there's enough time to get one off before ES comes off CD, then I find I always need the extra focus. This can be pretty difficult when you're trying to coordinate Black Arrow and a Murder of Crows. If you cast aMoC and then get more than a couple LnL procs, you'll have to use Cobra Shot before you can get out all of your Explosive Shots, but it will ultimately come down to RNG. One interesting bit is the combination of needing more focus (and therefor not using as many arcane shots) along with having all of your shots cost focus (both Arcane Shots while TotH is up, and Explosive Shots with LnL), it means we're getting really close to 100% up-time on TotH. I over the many 7 minute fights I had with the training dummy, I only had one or two points without TotH up, and I only had 3 total arcane shots while TotH wasn't proc'ed. The talent might as well just give you all cheaper Arcanes and Multishots. Fervor is working exactly the same as it did before, so I wasn't going to mention it at all, but I did want to take a moment to talk about how its synergy with Focusing Shot. As you'll read below, Focusing Shot is a higher skill level sort of shot, because it requires some planning ahead, and the use of Fervor can save you from some mistakes (well, one mistake every 30 seconds), since you can quickly replenish your focus, without having the long delay. Munitions is going to be a significant DPS increase (not to mention the extra benefit each gives) with virtually no skill needed. This might be a great talent to use while trying to learn your new rotation, or on a particularly hard mechanically focused boss that's making your rotation more difficult. 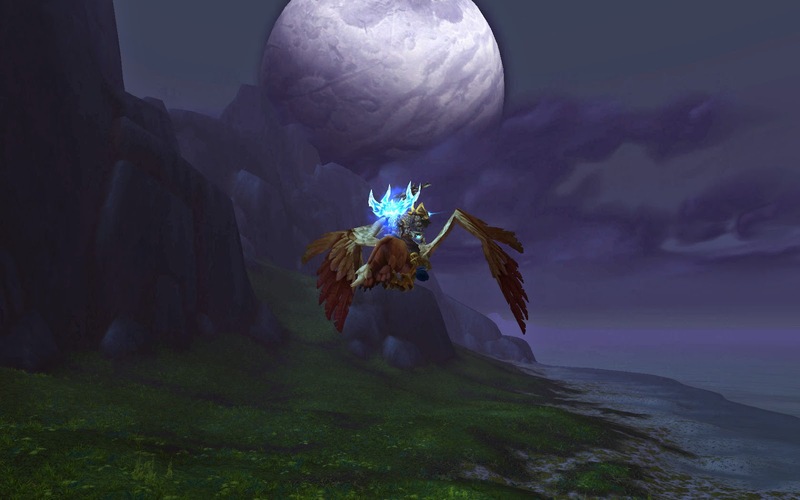 It looks like it will also be a viable option for PvPing, since Lone Wolf won't be an option, and Focusing will require a lot of standing still and have a very high skill cap. I'm a big fan of my pets, but I have to admit that Lone Wolf is a lot of fun when soloing. Kiting has always been a favorite part of huntering for me, and Lone Wolf really forces you to perfect your kiting. The latest beta build limited the number of shots that benefit from the Lone Wolf buff to Auto, Arcane, Cobra, Black Arrow and Explosive, which primarily means it won't be useful for buffing our AoE, and it won't have an effect on damage from talents. Focusing Shot was a big question for me. I thought it would end up being a lot of fun for MM with the increased total focus, but pretty difficult to keep from focus capping. Celestalon has tweeted in the past that Focusing Shot should be the highest DPS potential, and along with it also have the highest skill cap; however, it seemed really smooth to me. If you have a fight where you can sit still 3 out of 6 seconds, then this talent works out great. Between CDs you can pop off one focusing shot, 2 Arcanes and an Explosive for a pretty simple rotation, and if you get some LnL procs, then you'll always have plenty to burn those off (at least with early xpac MS levels) then hit your two Arcanes and FS before ES is off CD again. The catch for Focusing Shot is (other than needing to stand still), you need to know what you're going to be doing at least 3 seconds before you do it. If you struggle with managing focus, this can be a huge handicap. Since not having enough focus for your Explosive Shot, or for Black Arrow means you have to delay them by (almost) 3 seconds. Over the course of the fight, using FS wrong will cost you a lot more dps than using Cobra Shot wrong. This is the higher skill cap Celestalon was tweeting about. I'll have to keep revisiting each of these talents as I work on my rotation more. It could be that with better skill, their relative value will change, as it seems this is already clearly true regarding the munitions, and will likely become the case with Focusing Shot and (to some extent) Lone Wolf. Overall, I really enjoyed the spec while standing still at the target dummies. I'm a little disappointed that none of the level 100 talents are really amazingly well suited for Survival, but on the other hand, none of them seem really terrible for Survival either. While (as I've said a five hundred times already in this post) it's still too early to know about damage, it seems like blizzard's goal is to keep BM superior in AoE damage, as evident from the taking Multishot and Serpent Spread off the list of things affected by Lone Wolf. And, I'm still not convinced that they will compensate SV for the loss of even the slightest semblance of burst. On the plus side, SV might finally have a way to differentiate Great from just OK, if it turns out to be worth while to pool Explosive Shots to use with CDs. I know a lot of higher ranked hunters have complained about the lack of ways to take advantage of trinket procs, so if the numbers work out, this should be a good change for Survival PvE. In the wake of Ricket's BM opener's video, I wanted to take a minute to talk about opening shots. I went over some of the pros and cons of a couple different opening shots a couple months ago (here and here), but I thought it might be worth going through some of the top parses and looking at how the best hunters in the world are opening. Editor's Note: these were collected several weeks ago, and the top parses will surely have changed by the date this is published. It's also important to note that some top parses were skipped, possibly because they were kills that were so fast the opener was irrelevant, but most likely because they were in a language I couldn't read. In the end, I don't think there's really that much we can learn from here. It really boils down to what Ricket put so well, that the exact opening sequence isn't nearly as important as lining up CDs with trinket procs. And really, with the state of hunters right now, neither of those things are as important as RNG, which will make tens of thousands of difference in DPS for a opener executed exactly the same, one pull to the next. Ricket's got a great new video going through the do's and don't's of the Beast Mastery opener. She covers a lot of the theory behind of how to get optimal DPS out of your opener, without prescribing an exact order of shots, which I really appreciate. Hey friends, I'm going to be heading into the wilderness IRL for about a week of backpacking and canoeing in the Ozark Wilderness. 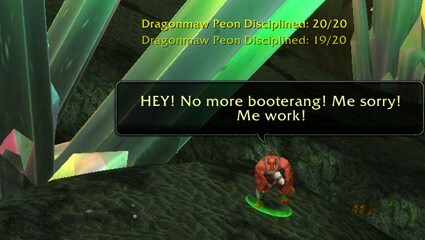 Unfortunately, I haven't found a way to update the blog (or log onto WoW) while I'm out there. Be sure to keep checking Cloak and Quiver, the Brew Hall, the Grumpy Elf, Eyes of the Beast, and all of the other great hunter sites out there. Here's hoping there's some amazing news when I return! Over on the battle.net hunter forums, a question came up regarding the priority of Kill Shot vs Explosive Shot, and I was very surprised that several people replied suggesting that you should prioritize Kill Shot over Explosive Shot. So, I thought it might be worth while to take some time to look at the particulars of how each of these abilities work. The trick is, of course, if you have very high weapon damage, but not very high ranged Attack Power, then you'll have a more powerful Kill Shot. 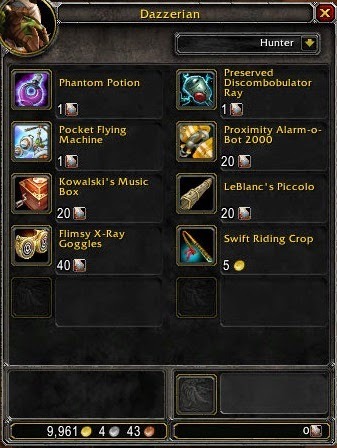 This is the case for one of my alt hunters, who is in almost all 496 timeless isle gear, but has a 569 ilvl weapon (the BoA from normal Garry). For that character, Kill shot does about 159,227 damage, while Explosive Shot (including all ticks) only does about 147,258. My main hunter, however, has almost all 58x gear, with a weapon around the same ilvl as most of my gear. In this case, my Kill Shot only does 267,890, while my Explosive Shot does 335,322. 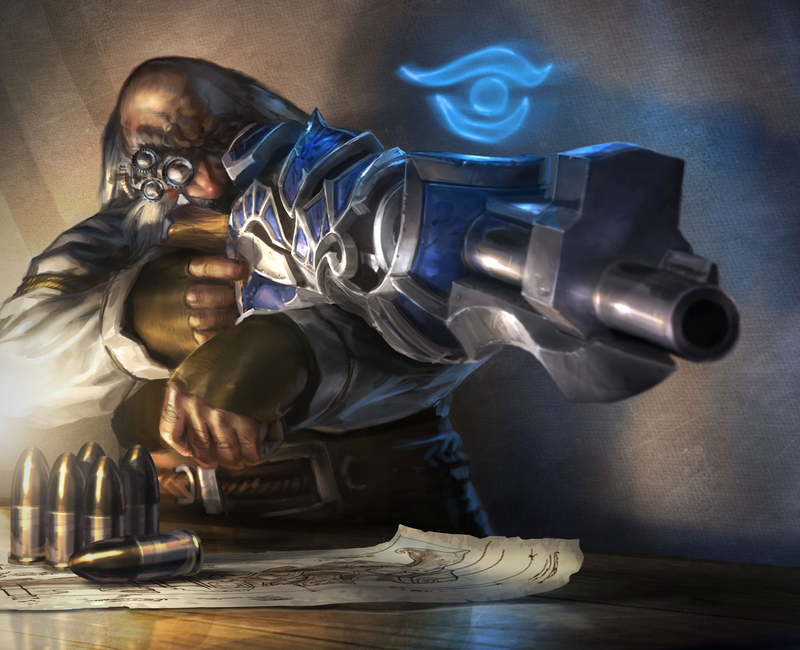 Another thing to consider is that Explosive shot, because it is a pure AP modified shot, benefits much more from any temporary agility buffs you might have from trinket procs or from your potion; while kill shot, being a Weapon Damage modified shot, won't get as much of a boost. Anyhow, the point of all of this is: in the vast majority of cases, Explosive Shot is higher priority than Kill Shot. 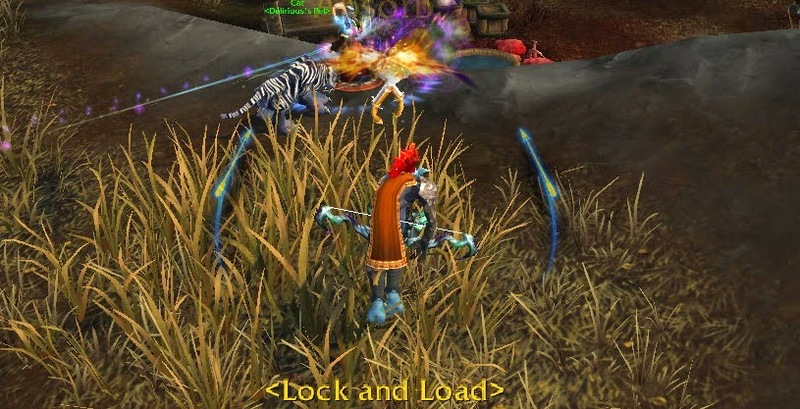 As most people have heard, in WoD, traps will be instantly armed, as soon as the hit the ground. 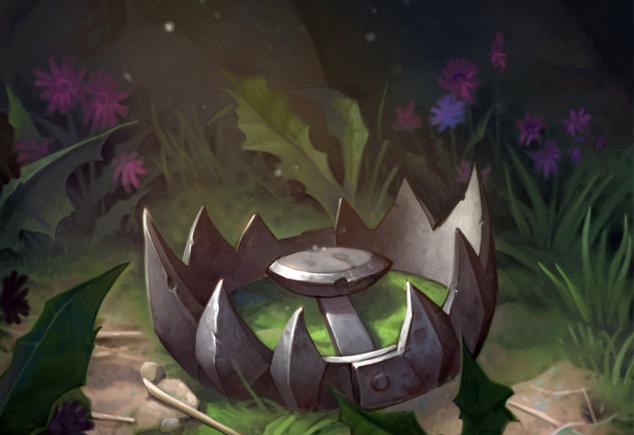 A common problem that hunters have had with traps, however, is targets moving above a certain speed would not trigger traps, which means certain classes could easily run directly over armed traps without setting them off at all. With the loss of Scatter Shot and hence the loss of the scatter-trap technique, this would make trapping nearly impossible against particular classes, even with the absence of an arming time. Celestalon explained that hunter traps (and only hunter traps) had been using a very archaic (13 year old) system to trigger. For those interested, the issue was the trap's mechanic only checked to see if anyone was inside the trigger radius every so often; if a class could get through the trap area in less time than the trigger check, then that class can pass through unharmed. With WoD, this has been updated to use a responsive hit detection the way other AoE abilities work, like Void Zones. Hunters will have a base Crit of 20% (with no gear equipped, you'll still have a 20% crit chance). In the current build, base mastery will be: SV 8%, BM 16% and MM 4%. All other secondary and tertiary stats (Haste, Multistrike, Versatility, Bonus Armor, Avoidance, Leech and Speed) will have a base of 0%. While these numbers seem to be at least fairly close to where they want them, the secondary stats are still being changed fairly dramatically. In the next build they plan on changing Haste to 100 rating per percent increase. No specifics on what other secondaries will look like (other than how they currently are set up on the Beta). Our guild decided to take the month of July off from raiding, so this past weekend I decided I'd pick up another game to occupy my time, and attempt to ward off some of the WoW burn-out that inevitably happens at this point in every expansion. 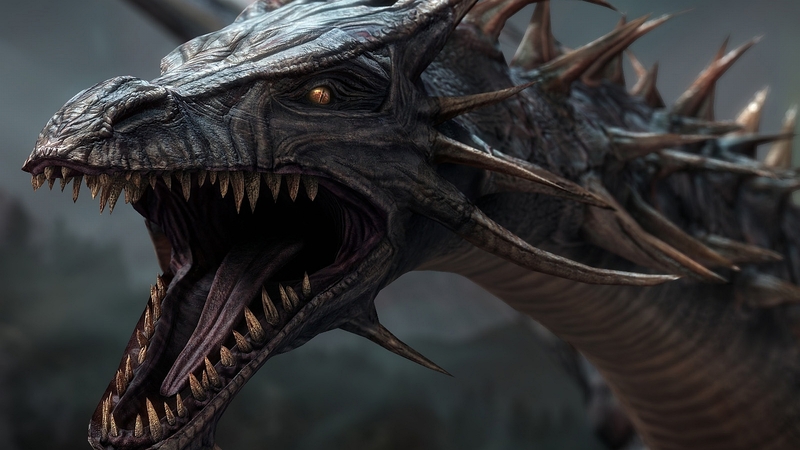 After browsing through the Steam Summer sale, I noticed there was a Dragon Age: origins "ultimate" for 10 or 15 bucks. I had a roommate who had DA:O back 5 years ago, or whenever it came out, so I'd seen some of it, but had never actually played it. So I downloaded and installed it. It's been a while since I really played a "traditional" RPG, and I have to say it was lots of fun. I haven't read too much about it, but I think I'm about half way through the main quests, maybe a third of the way, and it's just so much fun to see how much of an effect my character has on the world, which is something that an MMO-RPG just can't allow. What was really fun about it, however, is that instead of wanting to just get as many quests as possible, and trying to get them done as fast as possible, I found myself oddly compelled to read all of the text, and talk to everyone I could find. This is, of course, how RPGs are supposed to be, but in WoW, I almost never read quest text (often to my own detriment, as I won't realize what I'm actually supposed to be doing). To me, WoW has become purely a race. Get to max level, get the best gear, get the raid bosses down. 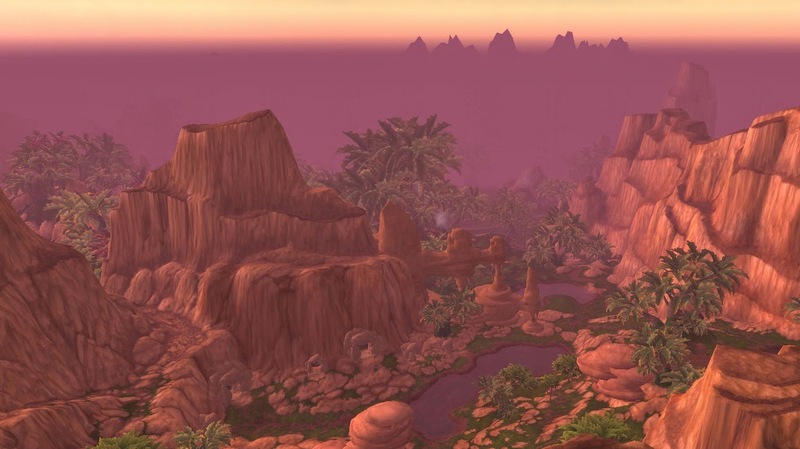 I know many didn't, but I really liked Mists of Pandaria. Perhaps it was just because Cata was so silly, but when I first started playing Mists, it felt like a decent story, which was fun enough to exist in. I think, however, that I had mostly just forgotten what it was like to be playing an RPG with good, solid story-telling. I can't remember where I read this, but some blogger I read recently mentioned how they thought that with World of Warcraft, it used to be the case that they had a story to tell, so they had to create these playable classes and raids and quests in order to tell that story; whereas now, it feels more like they feel like they need to make more content, so they're just creating some bits of story to fit in around the play-style they want to have. From my point of view, this is dead on. One statement Blizzard has been making for a while, is that they want to make content for everyone, and not spend a lot of time focusing content/quests for individual classes or races. The argument made some amount of sense at first, but the more I think about it, the more it seems they really need to do something to make players' experiences unique. Instead, Blizzard has focused their energy on trying to get everyone to raid. I, of course, love to raid, but getting people to suffer through LFR is a pretty lousy pursuit, in my opinion. They've repeatedly said that they want people to get to see this "epic content", but it's really not epic once it's watered down in LFR format. I imagine that they thought, since they couldn't come up with a very compelling story, they'd instead try to get more people to participate in the very un-compelling story they already had, and it just didn't work. 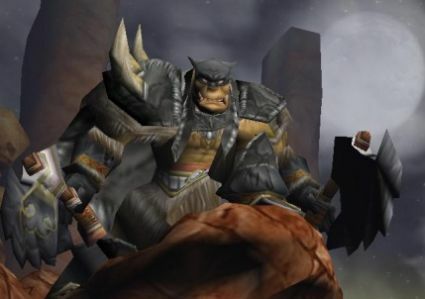 I'm not trying to say any of this because I quitting WoW or anything like that (I imagine I'll stick it out until the servers shut down, in some capacity, at least); I would like to see it return to its former glory, though. And to do this I think it needs to return to its RPG roots. If Blizzard wants to keep WoW alive, then they need to write a story that's so good I'll allow myself to get behind just so I can read all of the text in the quests, and all of the dialogue; we need a story so good that I want to watch the cut scenes (at least the first few times). Once they've accomplished that, then start worrying about the class designs, and encounter balancing. Since tomorrow is a holiday in the states (where the majority of my readers are) I wanted to get this out today, just in case summer gets in the way of keeping up with WoW hunter blogs! (however, don't forget to scroll down for info on the Marksmanship Mastery changes). Other than the amazing Sniper Training change to MM's mastery, the big new to come out of the latest alpha build, is they have a new iteration of how LnL may work for Survival hunters. We had already heard via tweets that LnL was going to be tied into Multistrike. So the new part is how that works: basically, there are no longer "free" explosive shots; to make up for that, the focus cost went down to 15 (from 25). There is also no more CD clipping; instead, Lock and Load will give you a CD-less Explosive Shot. You can gain up to 5 stacks of the CD-less ES, which you can then use right in a row, or you can save for a proc, or a heavy damage/burst phase. We'll have to wait until we have some Blackrock Foundry raid testing before we know what the best way to use the LnL procs will be. In case you're worried that this is starting to sound too powerful, that with enough Multistrike we'll be just firing ES all day, remember that black arrows duration is being reduced (to 18 seconds), and that we won't have our AoC trinkets any more, so we'll only be firing BA once every 30 seconds, leaving us with 12 seconds where no LnL can proc, since we also no longer can proc LnL from traps. In the end, with this iteration we're left with a more RNG intensive ability than we've had before 5.4, but a slightly more controllable ability than we've had in 5.4, since we'll be able to stack a stat to get better RNG, instead of purely relying on RNG. Chances are, we'll see less huge LnL proc chains, and a few more dry spells than we're getting now, but hopefully it won't be too bad. We certainly were spoiled in 5.4, with both the 4-piece set bonus, and AoC giving black arrow 100% up-time. One area where I could foresee this having a major impact, is PvP. One consistent complaint about SV PvP, is there's not enough burst damage to finish someone off. 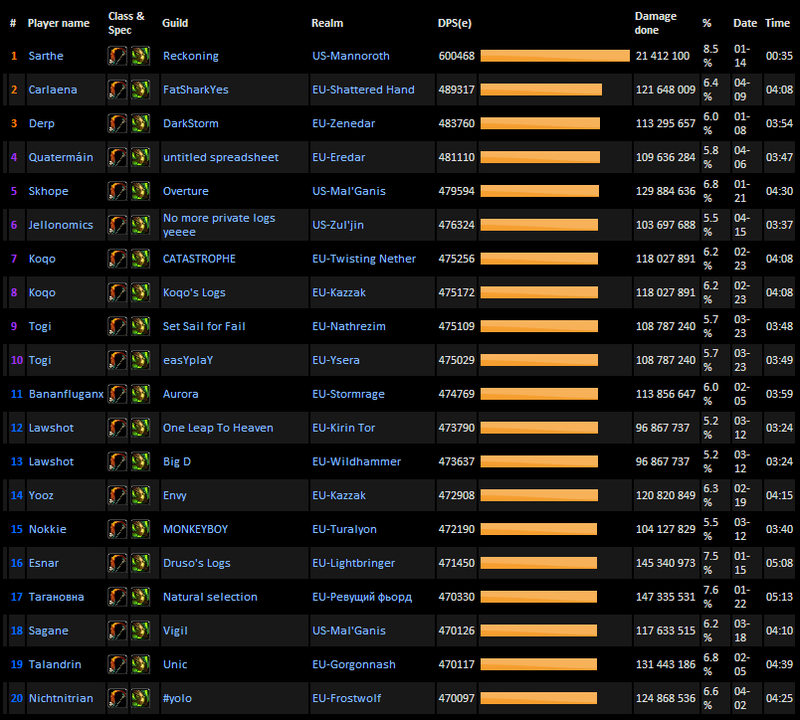 In WoD, for one, we won't have less stats in PvP, which will help keep our MS rating high. And in addition, we'll now be able to save LnL charges. Imagine getting up to 5 LnL charges, then popping glyphed Camo: you get six seconds where you are untargetable, and can pop out 5 Explosive Shots in a row. Of course, it will come at the cost of some of your sustained damage, which will keep it from being too OP. This is getting into the really speculative, since we don't really know if any of these changes will make it into live, but how I imagine it could work, is in one of two ways. The simplest comes from a target switch burst: whenever you notice the other team's healer getting low on mana, you save up LnL charges, and your bursty DD partner saves up a CD too, you both switch targets simultaneously, and you unload all five ES in a row for a kill. The other is focusing a healer while saving up LnL charges while your melee partner bursts on a DD target; as soon as your partner gets their target down to X% health, you switch, and let your melee start off with a charge or deathgrip on the healer, while you unload all of your LnL charges on the target with low health. Anyhow, I'm sure better PvPers than I can think of more creative uses of this. The point I'm trying to make, it gives us an option of good sustained damage, and solid burst potential. Slightly less exciting news, both Distracting Shot and Growl no longer claim they increase threat generation by 200%. This may just be a tooltip error, but both abilities simply stat that they increase threat, without saying by how much. Sniper Training and I'm in love with Marksmanship again! After the last updates they did regarding MM hunters, I was very sad, and finally, Blizzard figured out how to make me totally forget about those changes, because we're getting back Sniper Training, and it's better than it ever was! This is MM's new Mastery ability, and in one fell swoop, MM now has by far the best mastery of the three hunter specs. For those who don't remember, Sniper Training used to be on our talent tree, and would give you, after standing still for 6 seconds, a 15 second buff for steady shot and cobra shot, and would increase your Kill Shot crit chance by 15%. The new Sniper Training, requires you to stand still for three seconds out of every six (to keep it up 100% of the time) and will gives you a % bonus to all damage, an additional bonus to crit damage, and gives you an increased range! I particularly like that it gives an extra multiplier to crit damage, so which means they'll have extra synergy together. So if your mastery is at 7%, a normal hit, instead of doing 100 damage will do 107 damage. A crit, however, won't just double the 107 damage (+ 100%), it will add the 7% multiplier to the crit as well, giving you 221.49 damage ((100*1.07)+(100*1.07)*1.07). That's freaking awesome, and goes a long way to making crit valuable again since they removed the bleeds from MM. Another things this means is that on stand and shoot type fights, they should be able to tune MM on par with other caster classes and specs. There will be absolutely no need for the movement tax the Devs have been talking about. There are plenty of Hunter changes I'm looking forward to in WoD, but this just got pushed near the top. Super excited! I really like that SV and BM will keep their uber-mobile feel, and Marks (which even in the name leads you to believe their more of a sniper type spec) should be a legitimate choice on non-movement based fights. Be sure to check out Bendak's post over at the Eyes of the Beast for a little intro to how Sniper Training feels on the beta.